We’ve moved! IPRE website now integrated into new Ignatius.com website! Our Religious Education website for Schools and Parishes has moved to become an integrated part of our main website: Ignatius.com, but don’t worry, special school and parish pricing will still be available. Please read the important FAQs and answers below before going to ignatius.com to place your order. Q. What happened to my existing IPRE website account Sign In information? A. Most existing School / Parish website accounts and log ins were transferred to Ignatius.com. Our new platform only allowed one username Sign In to be transferred on the same main account, so if your church/school had multiple website log ins, only one was transferred. If you desire more than one log in, please use the button at the bottom of this page to request an additional website account. Q. Will I still get special school/parish discounts on the new website? A. Yes! 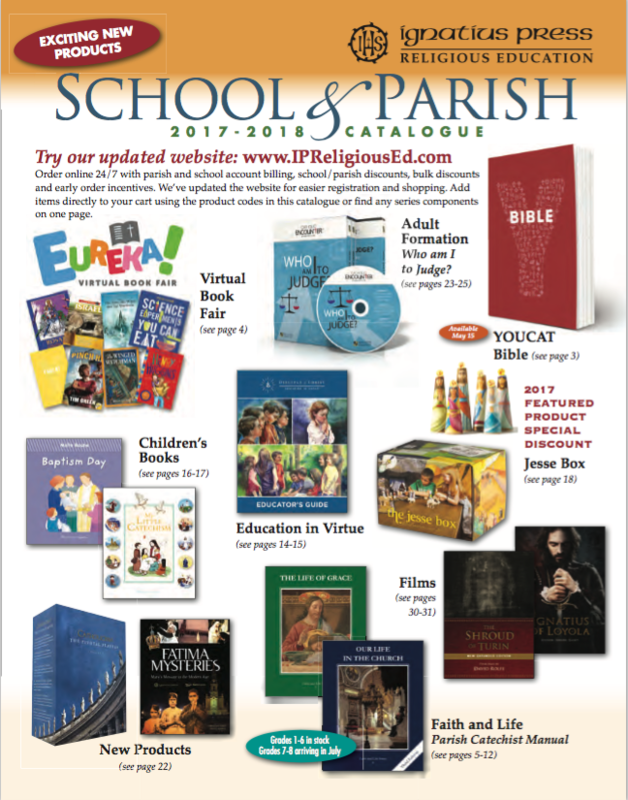 Our special discounts for schools and parishes are available to you on our new website platform. Q. Can I still place orders on our account without paying by Credit Card? A. Yes! Choose the Bill my Account option during checkout. Only available to transferred IPRE website accounts or School and Parish accounts we set up for you. Use the button at bottom of page to request a school or parish account if you don’t have one yet. Q. As a new IPRE customer, can I create a new School/Parish account online to get the special School/Parish discounts? A. Yes. Use the “I Would Like to Set up a new Website Account for a School/Parish” button below. I am a School/Parish with an existing IPRE website account. I would like to set up a new website account for a School/Parish. Speak with a Religious Education Consultant Today! Welcome! This website is designed for schools, parishes, and diocesan offices where customers can place orders on their account without using a credit card. Only shipments to schools, parishes and diocesan offices in the continental US or Canada are accepted. Our Registration process will try to link you to any existing Ignatius Press accounts. If you need help, please use the Contact Us link in the footer. If you have additional questions or need assistance placing an order, please call us at 1-866-431-1531. © 2016 Ignatius Press Religious Education.